Kawasaki has debuted its 2017 product lineup in India with the introduction of five new bikes. It includes the Versys 650 that complies with the BSIV emission norms just as other motorcycles in the portfolio. 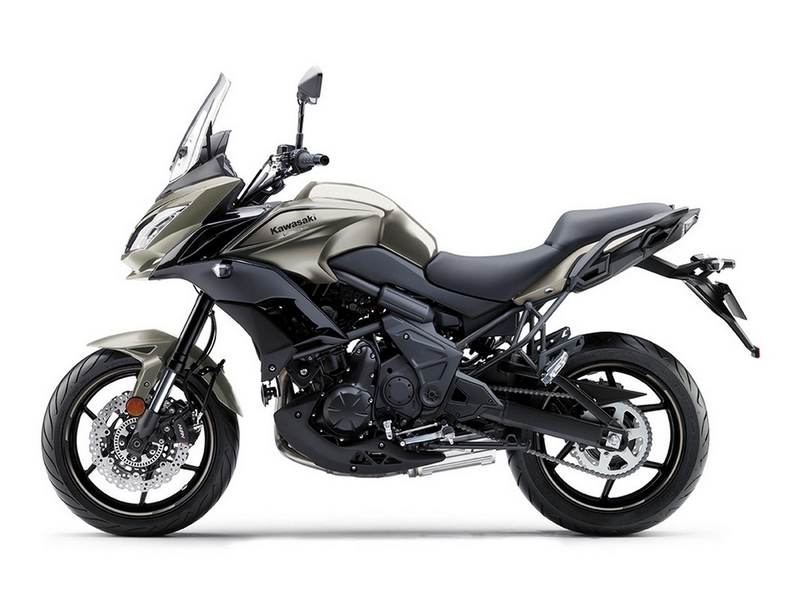 The highly capable adventure tourer derives its design inspiration from the larger Versys 1000 and brings a defining stance on its own with a well proportioned slimmer headlamp unit, sleek side profile and body panels. Priced at Rs. 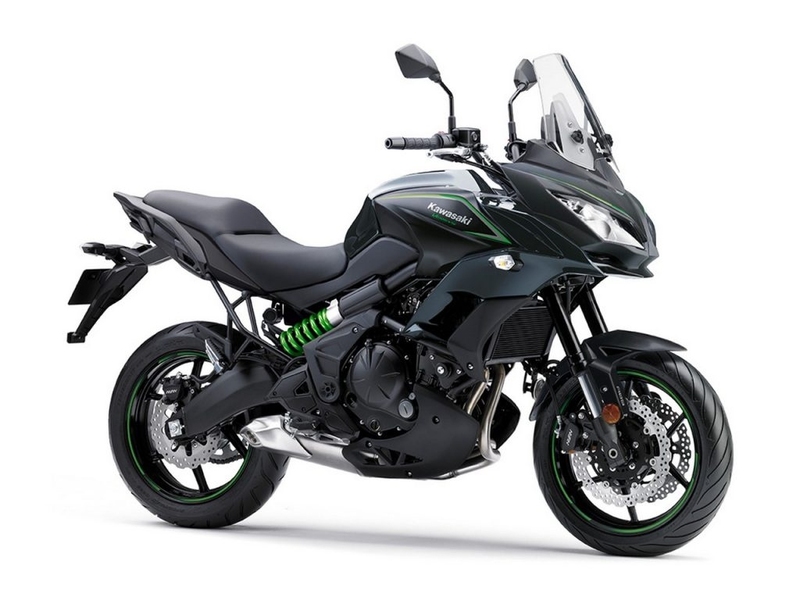 6.60 lakh (ex-showroom, Delhi), the 2017 Kawasaki Versys 650 features turn indicators on the sides of the headlamp and the Japanese motorcycle manufacturer says the material quality of the handle grips and switchgear have been improved for the ease of rider’s comfort. Out the back, the tail end is much more organised and adds to the finesse of the whole design package. As in the other 650 models, the Versys comes equipped with LED lighting technology helpful during obscured conditions with a long range. Additionally, Kawasaki has the instrument panel redesigned as well. The new Versys 550 is made available to buy in different paint schemes such as Metallic Flat Raw Titanium and Metallic Flat Black/Metallic Carbon Gray. As for the powertrain, the adventure tourer carries forward the same and rather brilliant unit from the outgoing model. The 649 cc, four-stroke, liquid-cooled, parallel-twin engine is good enough to produce a maximum power output of 68 bhp at 8,500 rpm and 64 Nm of peak torque delivered at 7,000 rpm. The motor is coupled with a six-speed manual gearbox with positive neutral finder. Up front, the suspension duties will be taken care of by a 41mm hydraulic telescopic forks and single offset lay down shocks at the back. Assisting during braking are the twin 300 mm petal rotors with piston calipers and 250 mm single petal rotor with single piston calipers at front and rear respectively. Riding on a double-pipe diamond frame chassis, it measures 165 mm in length, 840 mm in width, 1,450 mm in height and features a ground clearance of 170 mm and wheelbase of 1,415 mm. Tipping the weighing scale at 216 kilograms, the new Versys 650 gets a bigger 120/70×17 front and 160/60×17 rear tyres.